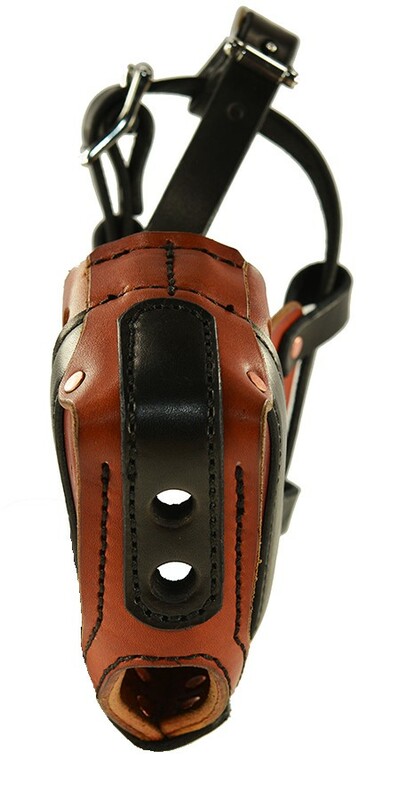 -- Please Select --Small - 3.5" - 4"Medium - 4" - 4.5"Large - 4.5" - 5"
Our working dog training muzzles is the only one of its kind on the market. 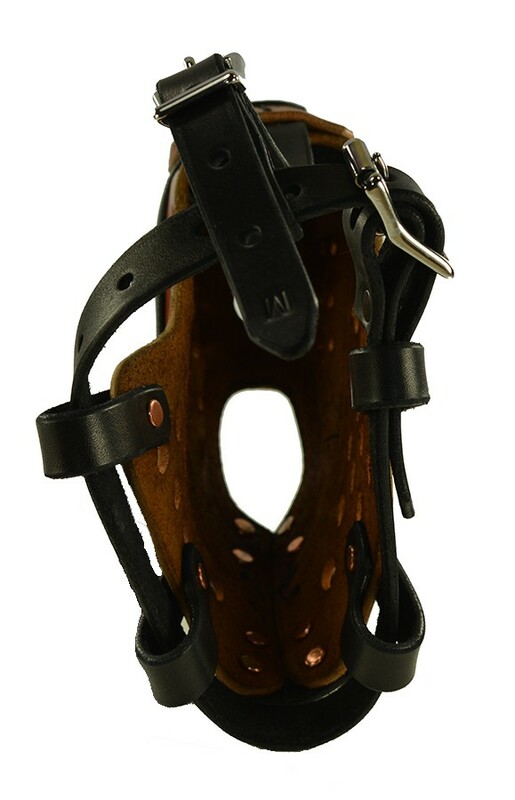 Each training muzzle is made of premium cowhide leather, made by hand. 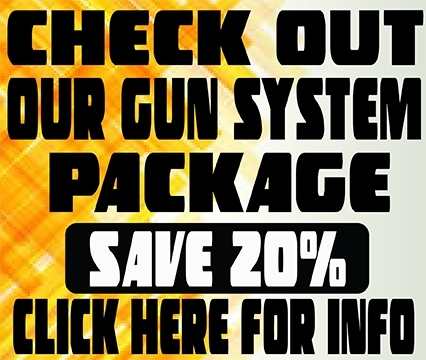 Our design takes into consideration the utmost safety for you and your dog during training. Our muzzle is designed specifically for training and being able to reward your dog with a treat without having to remove the muzzle! Reinforced metal front and reinforced sides to keep the muzzle from collapsing during training. 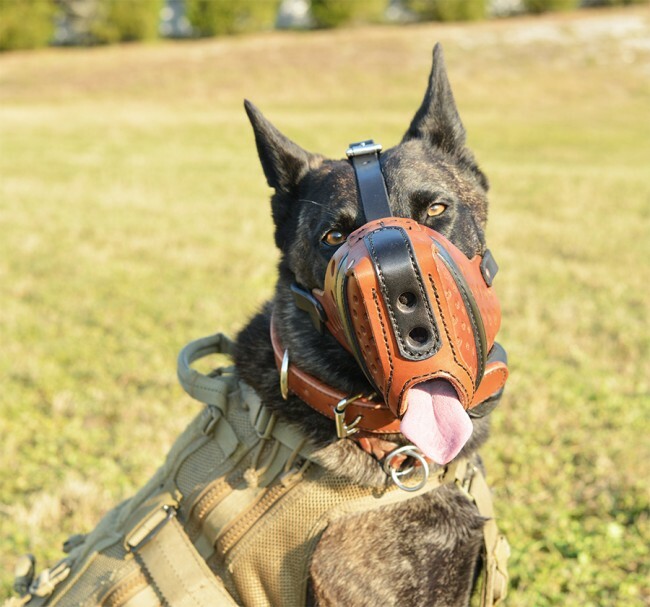 This muzzle is designed to be used during training such as detection work. Positive rewarding of the dog is easy with this muzzle. The trainer can reward the dog with a treat without having to remove the muzzle or slide a treat in from the side. Your dog will quickly learn the easy reward technique during training. 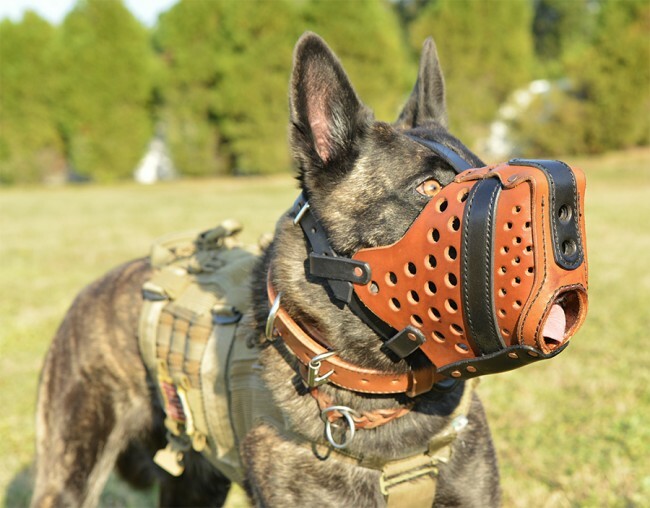 The muzzle is ventilated enough to be used for transporting your dog when a muzzle might be required. Our muzzles offer plenty of air holes for ventilation and detection work during training. 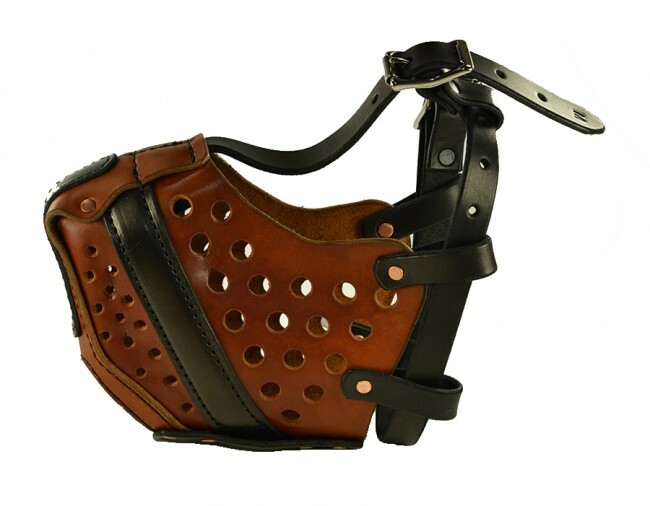 The muzzles also come with a pad under the top part of the muzzle to provide comfort when worn during training. 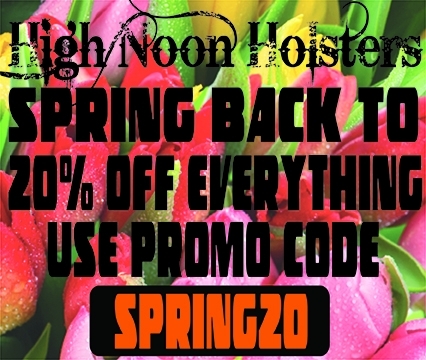 Stainless steel buckles offer the best hardware for long lasting use. 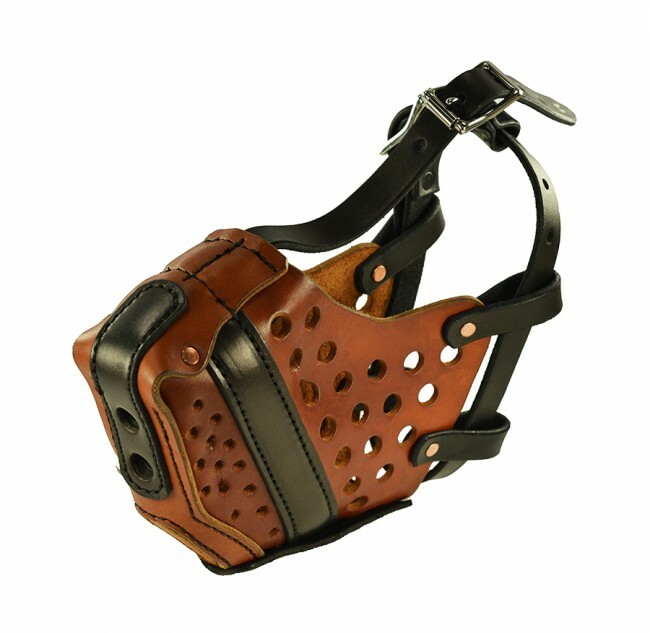 We pay attention to detail with our muzzles by offering the highest quality in craftsmanship. 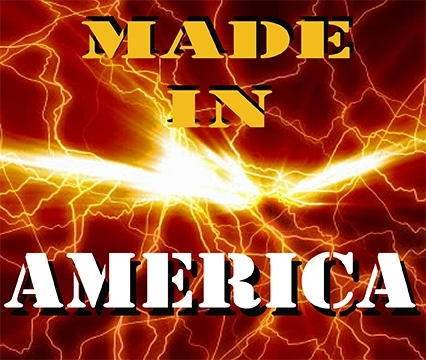 Our muzzles are made right here in the USA and are used by our military’s finest elite K-9s. Choose from medium dogs to larger dogs (Belgian Malinois, Dutch Shepherds, and German Shepherds). 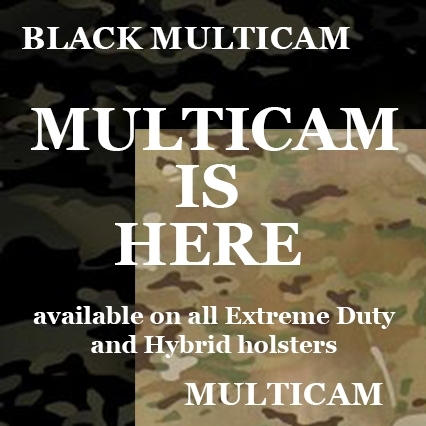 We offer three color combinations – Black with black trim, tan with black trim, and natural with black trim. Sizes are based on muzzle length. To find out the measurement for your dog, measure from the end of the nose to the bridge of the dog’s muzzle just under the eyes. Also measure from the jaw bone near the base of the ear to the nose. Between these measurements, you can determine which muzzle will best fit your dog. Small = 3.5" - 4"
Medium = 4” - 4.5"
Large = 4.5” - 5"